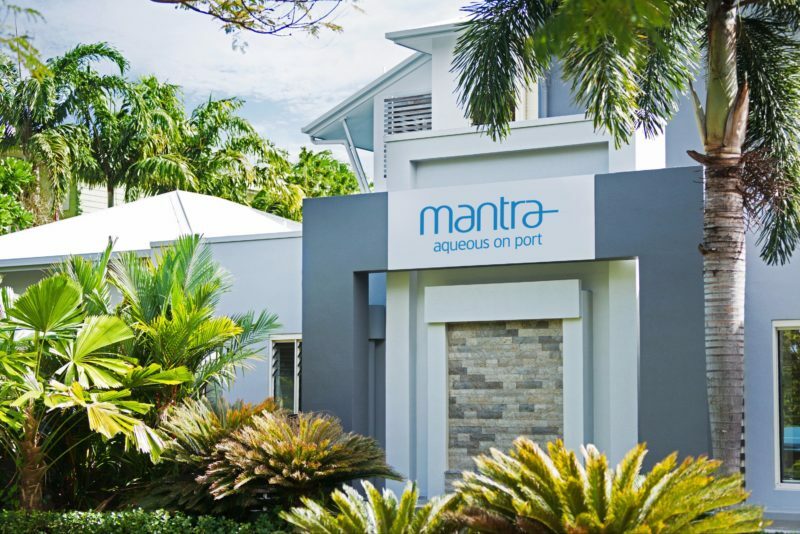 Located just off Macrossan Street, Mantra Aqueous on Port provides an ideal setting to enjoy the distinctive tropical languor and sophisticated cosmopolitan lifestyle of Port Douglas. 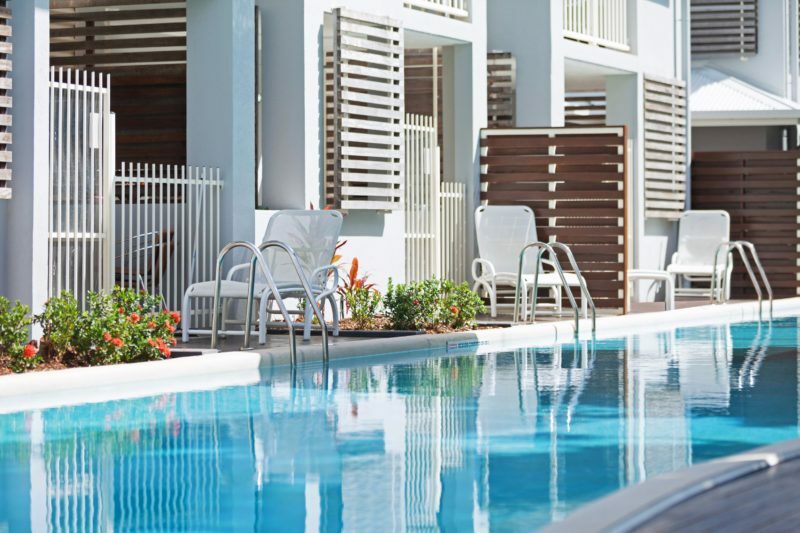 The resort offers a fresh blend of stylish design and contemporary style, with most apartments offering pool views. 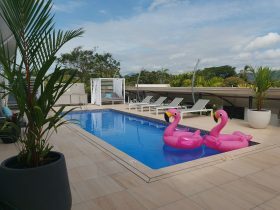 Choose between a Hotel Spa Room, One and Two Bedroom Apartments, each available with a ‘swim out’ pool option. 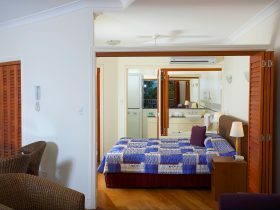 All rooms and apartments feature a balcony with spa, and apartments also have the convenience of kitchen and laundry facilities. Relax all day in one of the four lagoon pools, whip up lunch in the barbecue area, or spend the afternoon with a book under a cabana. 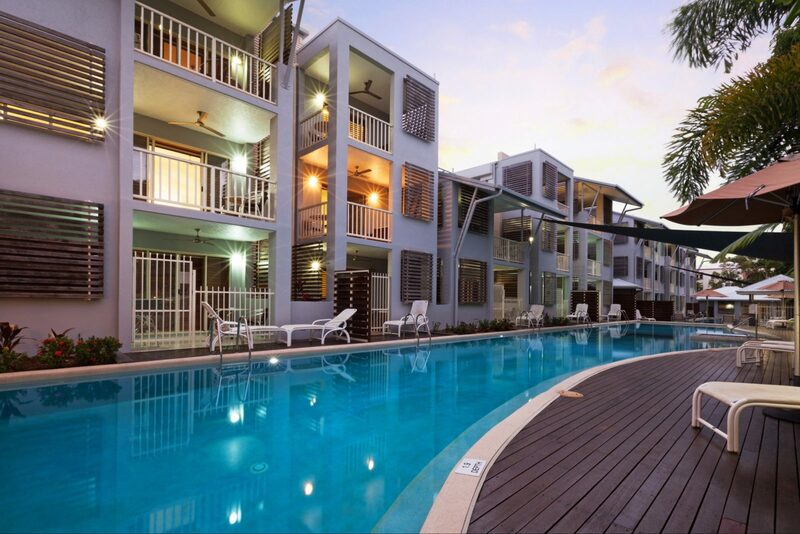 You’ll enjoy a truly relaxing Port Douglas holiday at Manta Aqueous on Port. From the resort’s ideal location, you are just a stroll away from a wide array of cafes, restaurants, and boutiques. There is also a supermarket and convenience stores close by to stock up on groceries and essentials like sunscreen. 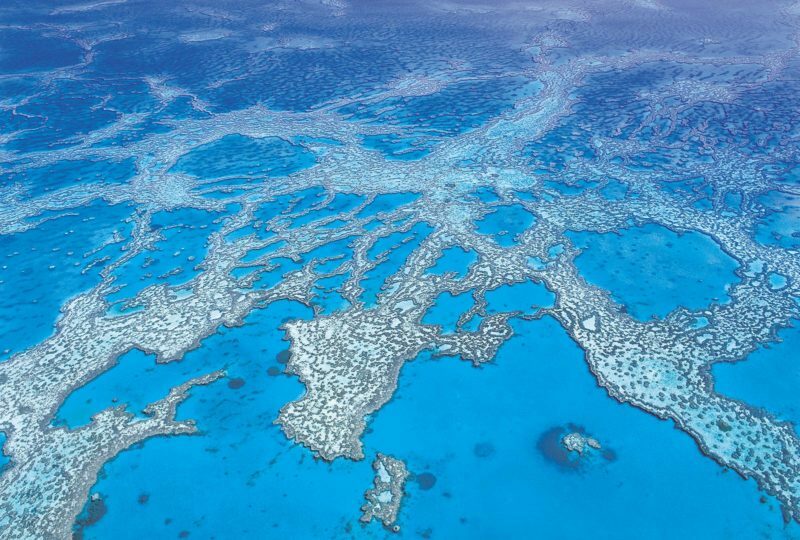 Be sure to explore the beautiful Four Mile Beach and make a day trip out to the amazing Great Barrier Reef. 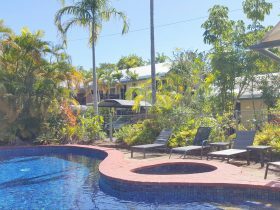 The Two Bedroom Dual Key Swim Out Apartment combines the Hotel Spa Room and One Bedroom Spa Apartment providing your own private deck beside the pool. Features include living and dining areas, a full kitchen, bedding of one king zip bed or two singles, along with an ensuite. Also included are televisions, cable television and DVD player, iPod docking station, and wireless internet access. Enjoy your private spa with pool view, and swim-up deck with direct pool access. The Hotel Spa Room is available with one queen bed. 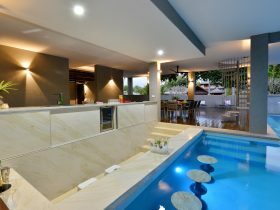 Room features air-conditioning, ceiling fans, cable television, tea and coffee making facilities and balcony with spa. Some Hotel rooms can have direct pool access. 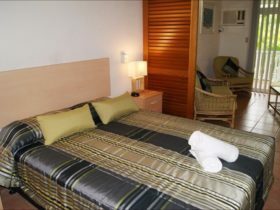 The One Bedroom Apartment with available with one king zip or two single beds. 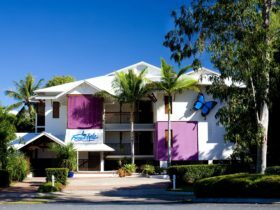 Extra large room with full kitchen, laundry facilities, air-conditioning and ceiling fans, cable television and balcony with spa.